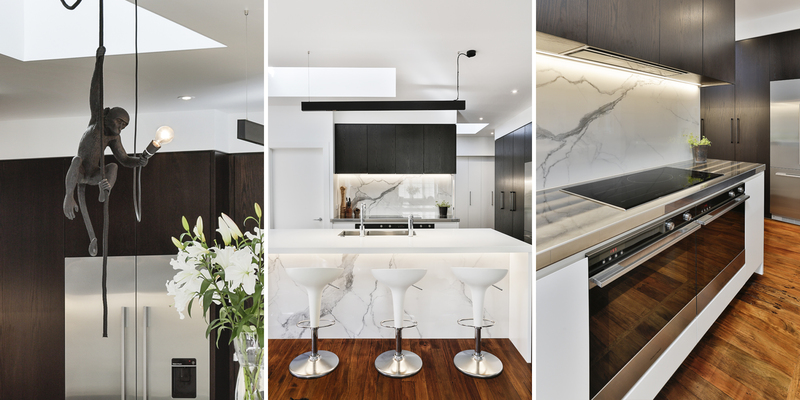 Kitchens By Design | Kitchen Design for Discerning Clients : One Tree Hill. 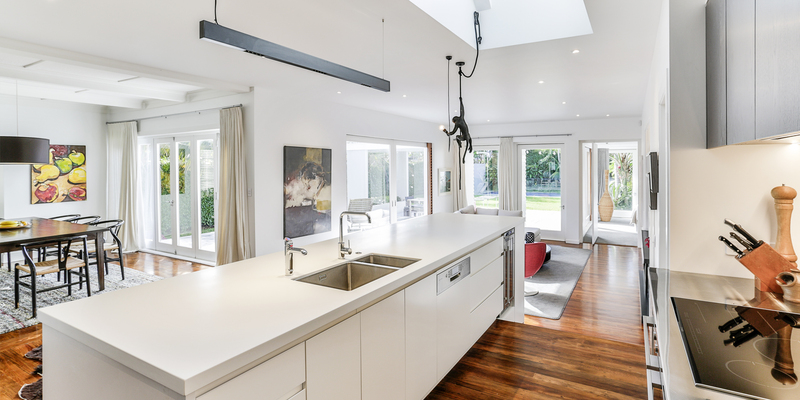 One of the primary requirements for this large, contemporary kitchen for a busy family was for a multi-zoned space where individual members of the family could work independently, or come together as a group for entertaining or events. 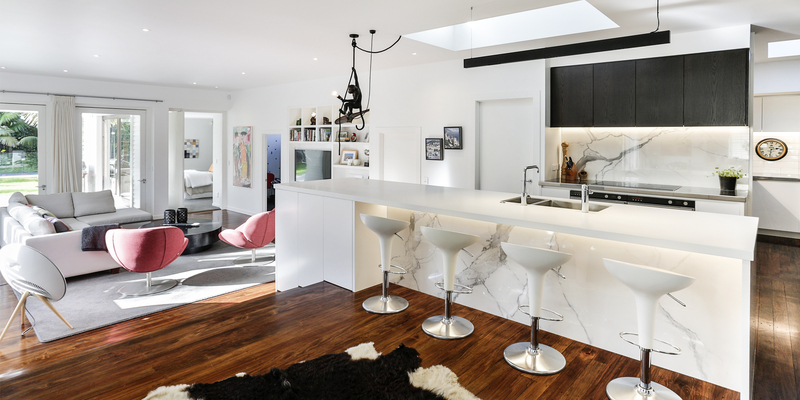 Accommodating these needs required some intricate space planning and lateral thinking – not least was the design of the large kitchen island that cleverly steps down into the lounge, extending the bench space, creating a ‘leaner’ area which contains a drinks fridge and storage for glasses. Budget was also important factor to consider. 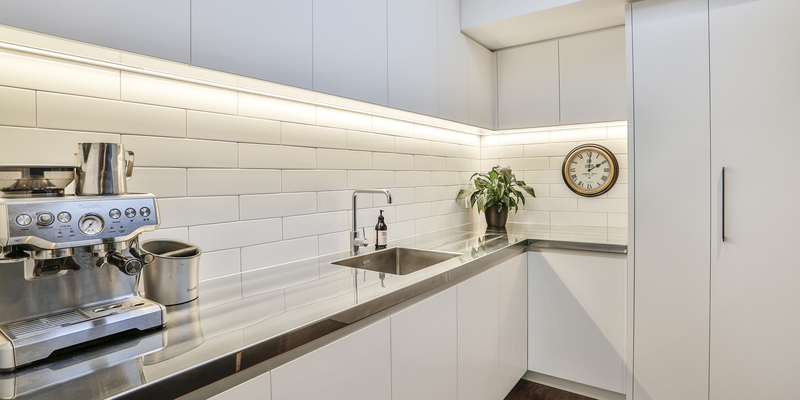 Keeping to it, with such a large space, required careful and selective material choice. 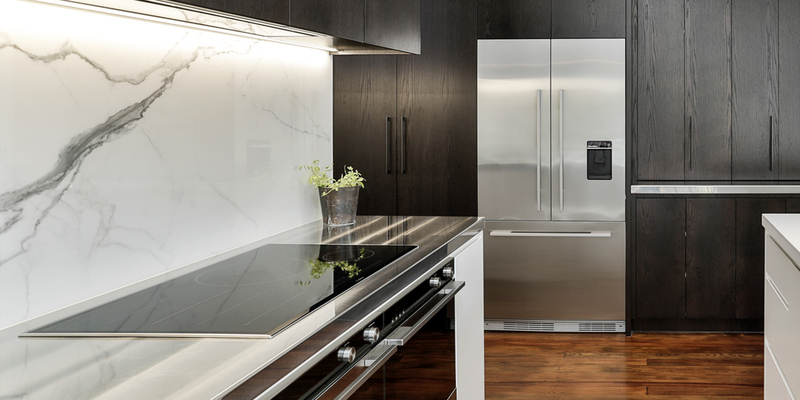 As such, only areas directly on show were given the more expensive finishes – the splashback and island front in a marbled porcelain, the overhead cabinetry in stained oak veneer, and island benchtop in Corian. 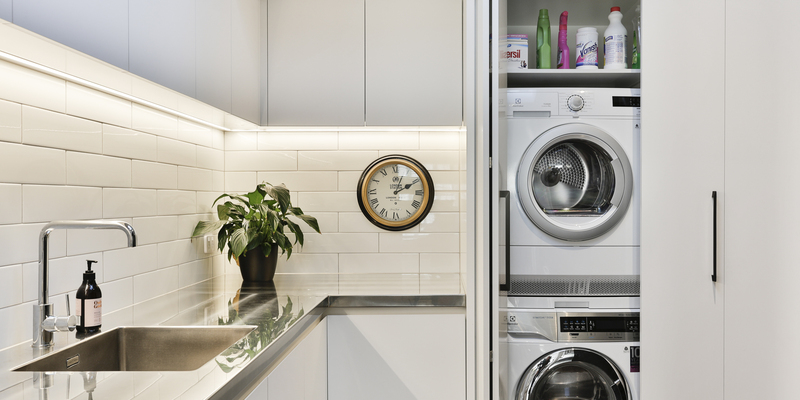 In addition to being an out-of-sight food preparation and clean-up area, the scullery contains the home’s laundry and also serves as a connecting room – or vestibule – to the internal access garaging. Budget was also important factor to consider. 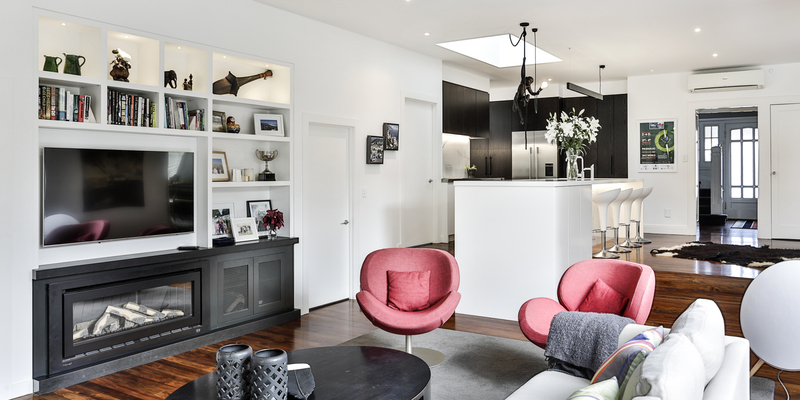 Keeping to it, with such a large space, required careful and selective material choice.